We apparently are all getting older! Along with this “maturing like fine wine” can come physical and or mental frailty. Assisted Living is a big topic in the U.S. and Canada especially as we have large populations of baby-boomers. Boomers are pushing the agenda on aging and Assisted Living yet the solutions are woefully inadequate and/or extremely pricey in many locations. Moving or retiring to Mexico is an interesting option in response to the challenges of Assisted Living. Costs are dramatically lower (typically much more than 50% lower), and generally, the quality of care is wonderful! This along with the nearly year-round perfect weather makes Mexico place to consider. Nevertheless, the Assisted Living “industry” is not regulated in Mexico, so doing your research is imperative. 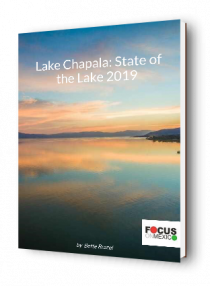 At Focus On Mexico, we receive many inquiries about Assisted Living in the Lake Chapala area since this expat-friendly area has a huge and supportive network. And indeed there are many excellent Assisted Living options in the area and more to come. However, the challenges of moving to another country keep most people away from seriously considering it. 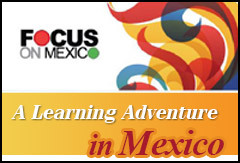 In comes Focus On Mexico. Our 6-Day Program is the ideal introduction for you, your caretaker, or your family members. We can combine our Program with individual consulting and tours to Assisting Living homes that might fit your needs – so you can see for yourself. The Focus Assisted Living Service is an individual service so if you’d like to take the discussion further, get in touch by emailing us at info@focusonmexico.com and briefly describe your situation and level of interest.